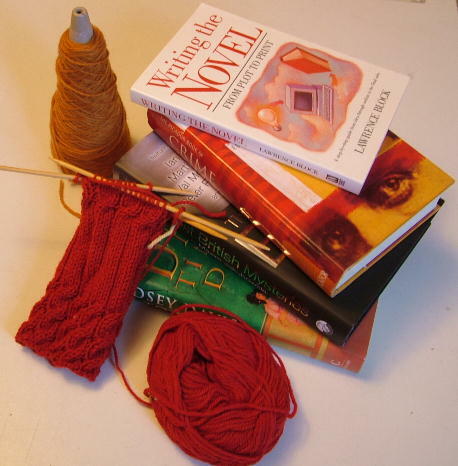 Mysterious Yarns: Well What Do You Know...A Book Update! So what exactly have I been reading since I last regaled you with bookish delights? Well, not a lot of crime actually. I did have a proof of the new Robert Crais book called Taken. Now I love Robert Crais' style of writing. He's very easy to read, has interesting characters and knows how to write a plot that moves along nicely. It will be no surprise to you then that I liked this book a lot. Elvis Cole gets kidnapped while looking for a missing girl and Joe Pike has to find him. It's set in the borderlands between California and Mexico and is about the people smugglers operating there. Not much else to say really except that it's as good as you would expect and I recommend it. If you've not read any Crais before then you really should. Think Lee Child but with more humour involved. These later books major more on Joe Pike as a character then the early ones where Elvis Cole was the main protagonist. but I like both of them so that's no problem. The next book on my list is Before I Go to Sleep by SJ Watson. This was the first book selected by the new book group hosted by my shop so I did have to read it and I was quite intrigued as I did once meet someone who suffered from short-term memory loss after a car accident, and who wrote down everything he did in a notebook so he would have a record of what he'd been doing. The premise of the book is that Christine wakes up in a strange bed, next to a strange man and it transpires that she's had a head injury and that everytime she goes to sleep she forgets everything that has happened to her in her life, or the day before. Her husband leaves her little notes around the house to remind her of who she is, and explains to her every morning that she is his wife, what happened to her etc, then he goes out to work and leaves her on her own. I have to say that I hated this book. The premise was good but it was poorly executed, I thought. There were huge gaping holes in the plot and it all became rather unbelievable. Most of the book group liked it however so maybe it was just me being over critical, jaded cynical reviewer that I am. I don't want to give the plot away if you haven't read it (though I wouldn't recommend it anyway) but the major problems with the book were the style it was written in - Christine was writing whole chapters of her life in great detail like a novel, but supposedly in brief snatches when she was able to hide from her husband. Wouldn't she have written brief notes not great screeds of prose. Also she drove me nuts by just accepting everything that was told to her. She believed her husband, she believed her doctor, she didn't question anything, just passively accepted it all. I found it very unconvincing. That was the extent of the crime I have read recently. The next two books for the shop reading group were Pure by Andrew Miller and Pigeon English by Stephen Kelman. Both of these were on the Costa shortlist and Pure won it. I read Pure first because I thought it looked dull and worthy and I was fairly pleasantly surprised. I did manage to read it all the way to the end, even though not a lot actually happened in the book and there was a lot of untapped potential in there. It's about an engineer sent to Paris in the 17th Century to empty the graves and crypts of the a Paris cemetary which is so full to overflowing that it is polluting the whole area with it's stink of corruption. All this happens just a few years before the French Revolution, so of course this is all huge metaphor for the cleansing of France, sweeping out all that old aristocratic regime, and replacing it with a newer purer France. I did like this book, though I was frustrated by the numer of times he seemed to set up a scenario that he then didn't explore. Pigeon English was better, about a small boy growing up on an East London housing estate. The author foreshadows the end pretty effectively, so you know what's going to happen but you keep hoping it won't. Well written but not perfect is my assessment. I powered through the Hunger Games trilogy in a very short space of time and thought they were really good. I don't read much teenage fiction but I thought I'd see what all the fuss was about and I thought these were fine. I can see why they've been so popular, they certainly kept me wanting to read all the way to end. I read some other teenage fiction too - I started the first book in the Morganville Vampires series by Rachel Caine. This was because the lovely Rachel was doing a talk and signing at my shop so I thought I'd better read at least one of her books. The book was a little too full of teenage high school angst for me - but then it's not aimed at me. I can see that teenagers love these books, and they're not badly written at all, just not my sort of thing. Rachel, by the way was totally lovely - spoke for ages about writing, answered loads of questions from the audience (the shop was packed) and then signed hundreds of books. She did mention a new series she's started about a woman who works in a mortuary who discovers her boss is bringing people back from the dead. I thought it sounded interesting (it's an adult book, not a teenage one) so I shall probably read that when I have time. The first is called Working Stiff. Anyway Rachel was very generous with her time (she does seem to work very hard) and she came to the pub with us after the event with her husband Cat Conrad who was also very nice and is also a writer. She's welcome to come back anytime she likes! A lot of my reading time has been alternating between two different series of books. I've been working my way through both of these series on my kindle - all the books are too fat to carry around! I never would have read any of these books if I hadn't had them on my kindle. I am reading Game of Thrones (I've just finished book 2 - A Clash of Kings), and Harry Potter (also just finished book 2 - Chamber of Secrets.). I resisted Harry Potter for a very long time, but the Evilpixie is a big fan and I'd seen all the films so in the end I crumbled and I have to say I'm really enjoying them. They are a welcome piece of light relief (so far anyway - I gather the books get darker as the series progresses) from the bleak darkness of Game of Thrones. I've been watching this on TV and I only started watching it because I knew the books were popular and I needed to expand my SF & Fantasy knowledge. I got instantly hooked on the TV series, tried the first book to see what it was like and got hooked to those too. Blimey - it even has dragons in it. You know I hate books with dragons, still they're only a minor part of it so far and there are no elves so I should be OK. Currently on my bedside table is an Ann Cleeves book called The Sleeping and the Dead. It's one of the Peter Porteous books and while it's not, in my opinion, as good as the Jimmy Perez or Vera Stanhope series it's still a good read. And on my Kindle I'm reading Alas Babylon by Pat Frank. It's a post-apocalyptic novel set in Florida in the late 1950s. It was written in 1959 under the threat of Russian nuclear missiles and it's a little dated but I'm still enjoying it. This is a little pre-holiday reading as I shall be in Florida for two weeks from Thursday. I'm hoping it's still there. I'm sorry it's taken me so long to get this update done. Looking back it seems I actually started tio write in in April which is shameful as it's now June. Anyway, next report will be from Florida. I think I'm ready for a bit of sunshine after this bank holiday weekend! We certainly agree on BIGTS, Harry Potter and Taken ;-) (Haven't read the others you mention). Nice to read your post.